Your digital devices have millions of eye-catching colors. Love any of those colors in particular? 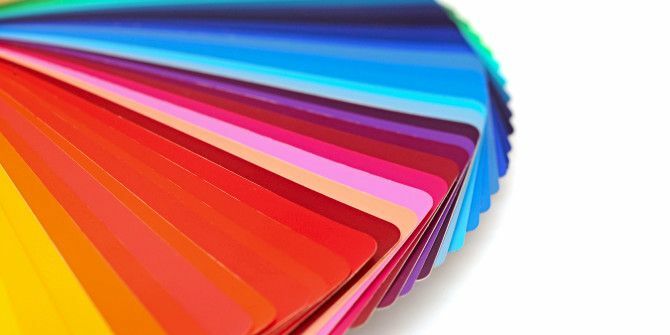 Want to use them in your designs How To Pick A Color Scheme Like A Pro How To Pick A Color Scheme Like A Pro Colors are tricky. It might seem easy enough to pick a handful of colors that look good together, but as any designer who has spent hours tweaking shades will tell you: it's tricky. Read More or to theme your apps? Get their hexadecimal code with a color-picker utility. Here are three free eyedropper tools you can install to copy the color code of any pixel on your screen in just a few clicks. Instant Eyedropper resides in the Windows system tray. Click and drag it to any portion of the screen. You’ll then see the color code of the pixel that’s right underneath your mouse pointer. Release the mouse button, and voila! The hex code of that color is now on your clipboard, and you can paste it anywhere you want. Instant eye dropper where have you been all my life?!? Want the color codes in a different format? Head to Options via Instant Eyedropper’s right-click menu 10 Best Shortcuts to Add to Your Right-Click Menu 10 Best Shortcuts to Add to Your Right-Click Menu The context menu that pops up whenever you perform a right-click can help you become more productive. With the right tool, customizing the shortcuts within it is a breeze. Read More to specify your preference. SIP adds a color-picking function to your Mac’s menu bar. Click on SIP’s menubar icon and there’s your eyedropper feature in the dropdown! The app supports as many as 49 color formats. Its pro version adds a Photoshop extension, an Illustrator extension, and more. Did you know that there’s a built-in color-picker on your Mac? It’s called Digital Color Meter, and you’ll find it under /Applications/Utilities. ColorZilla is quite a popular and powerful extension. After installation, click on its icon in your browser’s toolbar to access the eyedropper and other features. Hover the mouse over any pixel and you’ll see both the Hex and RGB values. Click on a pixel to copy its hex value to your clipboard. In the extension’s settings, you can also choose a different color format to use with the auto-copy feature. Tiny utilities like color pickers and filler text generators can prove handy for designers and non-designers alike. Would you like to see more of them? Let us know in the comments! Explore more about: Browser Extensions, Web Design.